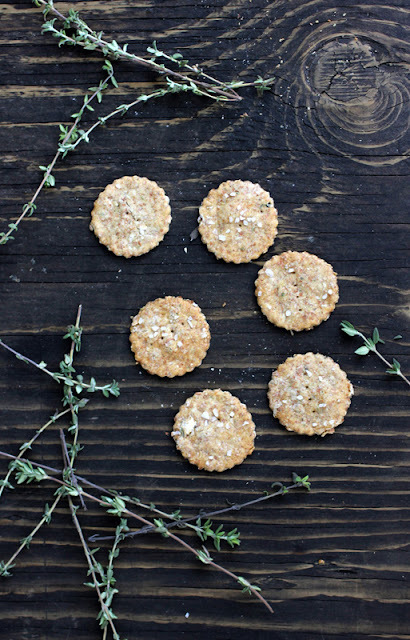 For ages, my mom has been wanting me to try and make crackers—she's a cracker fiend. So, the other week, when I was feeling particularly ambitious, I thought I'd practice my rolling skills. 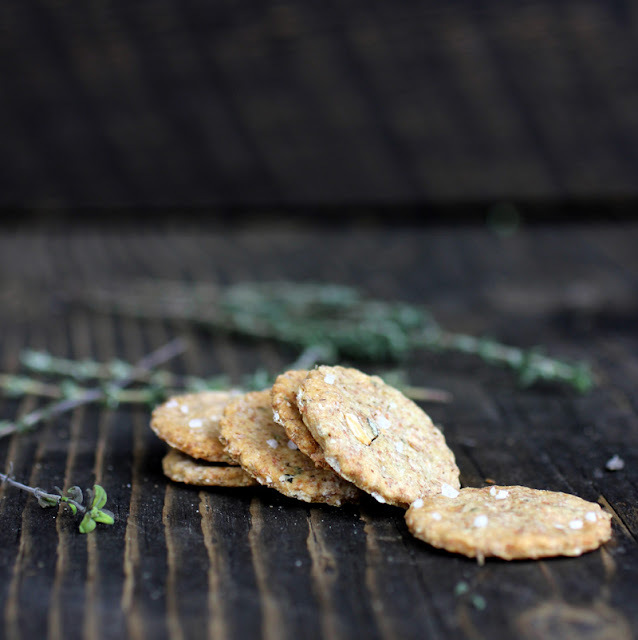 I used this cracker recipe for whole wheat crackers and made a few changes to suit my and my mom's tastes. They turned out great—better than I expected, actually. Most importantly, my mom loved them. 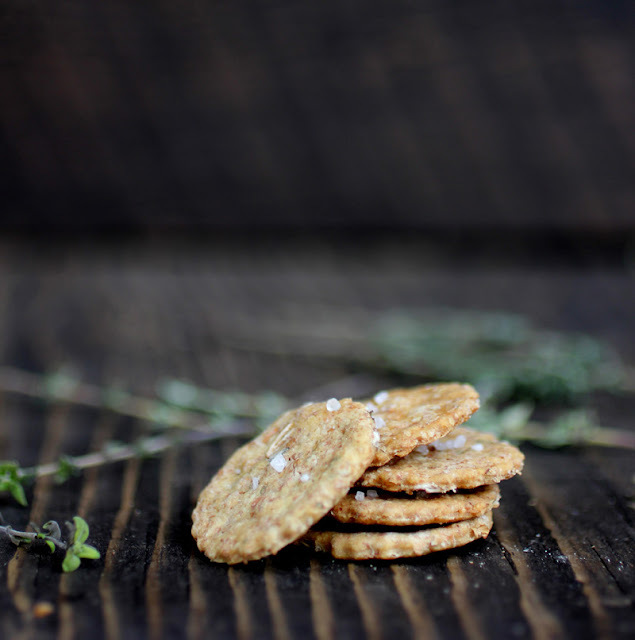 The crackers were very crisp and hard (not tender or flakey) when baked for the right amount of time—the kind of cracker you eat in one bite, or soak in soup. I mention this because I did accidentally under bake a batch, and they had a less enjoyable texture—chewy, but not in a good way. 1. 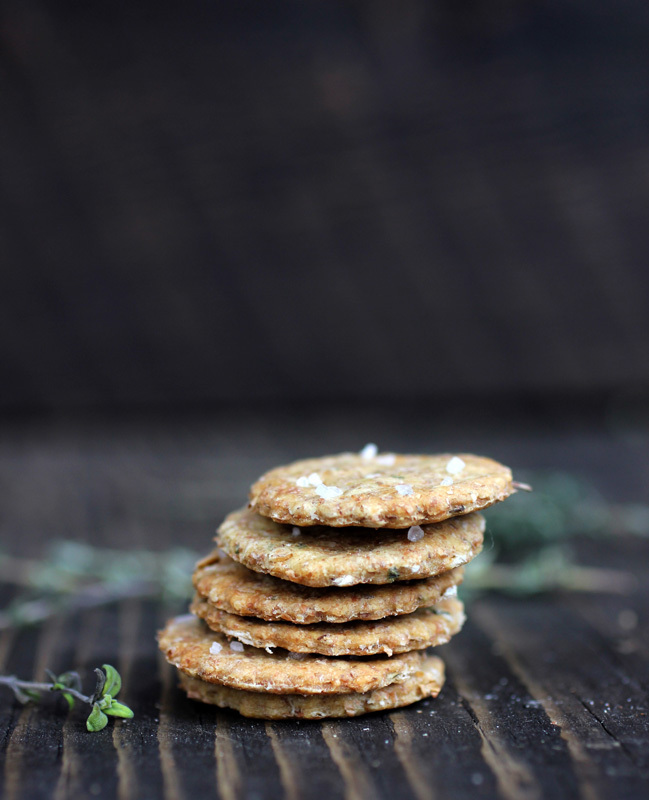 Combine dry ingredients, including herbs. 2. Mix in oil, then slowly add water until a crumbly, workable dough forms—have faith and avoid the temptation to add more than 9 oz of water. 3. Place dough on a lightly floured surface and roll out to 1/4 cm, or as thin as possible—I divided my dough into four pieces for rolling out, to make it more manageable. 4. Cut out crackers using a round, fluted cookie cutter, about 3-3.5 cm in diameter (or cutter of choice, but I found these resulted in the most even baking). With a fork, prick holes in the center and place on a baking sheet (they don't spread, so you can place them close together). 5. Bake for 18 minutes at 350F, or until they are crisp and golden. 6. Allow to cool completely and store in an air tight container. These are so good! I was wanting some of them yesterday, haha. And these photos are so nice!